my cutie little sissy (in-law), Candace. I am so blessed to have such a fun little S.I.L. ...and that she lives like 2 blocks away from Cam and I! She's a fun one and I am so excited to see her Halloween costume this year! Hey there peeps! I'm Candace from Lovely Little Rants and my pretty Sisty in law, Andrea has invited me to come say wassup about Halloween and what not. Anyways, I love Halloween! It's the BEST. This year, I'm totes being Luna Lovegood [from Harry Potter in case you weren't shore] But now it's time to show off two past costumes. 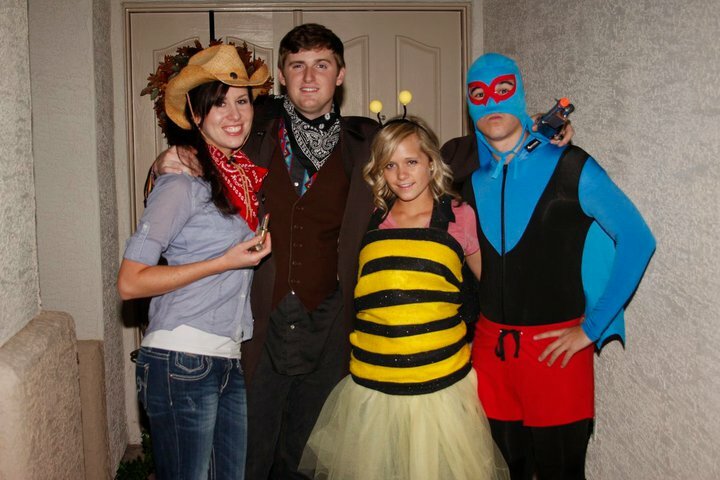 Last year, Cam [the hubs of Andrea, of course] Andrea, and I and my d8 went on a Halloweekend date! It was sweet. Literally. Me, the twin, the older brothers. Classic. I can only imagine how much candy we got that year. Welp, have a lovely Halloween and remember that this is the ONLY day of the year it's totally acceptable to accept candy from complete strangers. Oh, yeah, back to Candace. She's going to make such a good Luna! I'm excited to see her all Lovegood'd up. 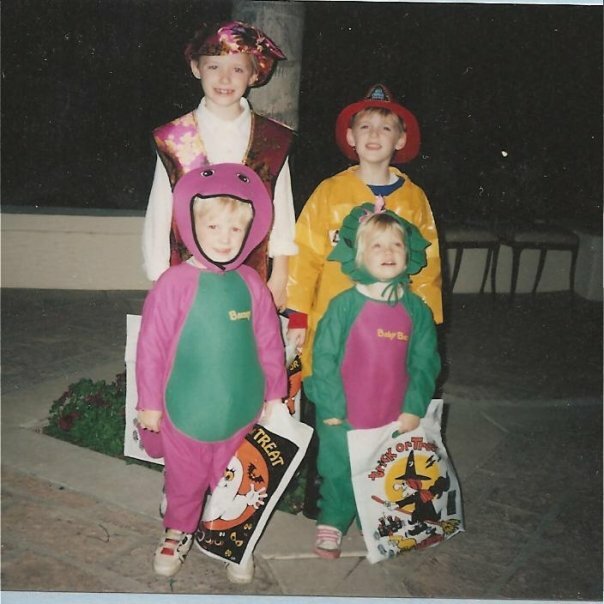 LOL, candace the cutest barney i've seen! ever. :) she cracks me up.